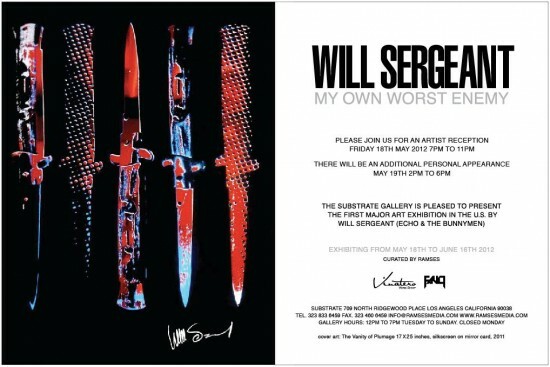 Will Sergeant, from the Liverpool post-punk band Echo & the Bunnymen, will be showing his artwork for the first time ever in the U.S. This exhibition comes directly from the Penny Lane Gallery in Liverpool. The show will run from May 18th through June 16th, 2012.